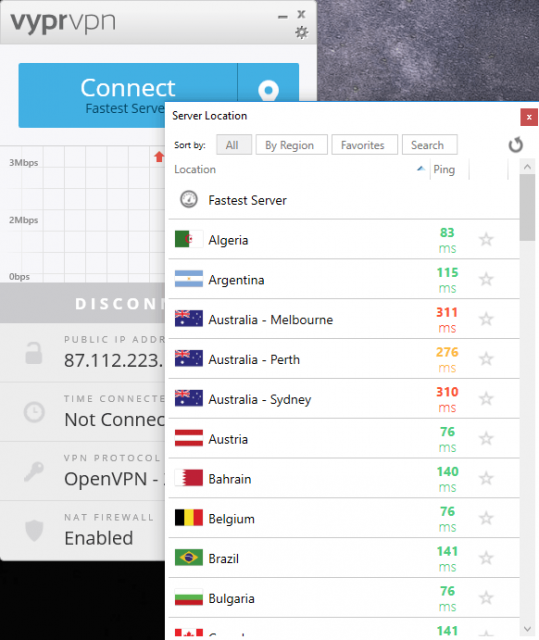 VyprVPN is a good all-round choice for a VPN service, and it maintains reasonable speeds as it masks your connection. However, some of its settings may feel unintuitive for novices, and it isn’t the cheapest service around. VyprVPN has a basic (paid for) VPN app, plus a more advanced (and more expensive) service called VyprVPN Premium that uses Golden Frog’s proprietary Chameleon technology to defeat VPN-blocking tools. You can use either to get a safe, secure internet connection while browsing on a public WiFi connection, or to make it harder for others to snoop on your activities, or to bypass any restrictions your ISP might put in place. Some users may enable VyprVPN to bypass content blocks in countries where the internet is censored, or to access video streaming sites in other countries where access is normally restricted to the locals. That’s helpful whether you’re trying to watch U.S. catch-up TV services while out of the country or foreign TV services, such as U.S. Netflix services, from outside the States. On the table below, we compare Vypr VPN against some of the top VPN providers on the market, including our most recommended brands, PureVPN, NordVPN and IPVanish. VyprVPN’s software has plenty going in its favor. 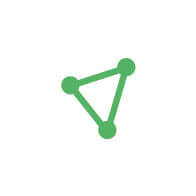 Golden Frog doesn’t monitor or discriminate against different types of Internet traffic, so it’s fine for peer to peer, file-sharing applications. The company’s privacy policies, like the help files, are very clear, and while it retains some information on your VPN sessions, it doesn’t log which sites you visit or what you do when you’re connected to them. VyprVPN is pretty speedy in action, as VPNs go. Short haul local server connections aren’t the best we’ve seen – our tests found a download speed impact of over 50%. But, over a transatlantic VPN link, connection speeds were consistently decent. We saw a similar loss of around 50%, and while this sounds less than perfect, it’s an improvement on many rival VPNs. VyprVPN gives you some great advanced options, enabling you to toggle the Chameleon encryption on or off, switch between different levels of encryption and configure the VPN to work with the matching DNS service, giving you an extra layer of protection when your browser looks up Web addresses on the Internet. It also has a killswitch that can be set to stop your internet connections if, for any reason, the VPN disconnects. This can stop a dropped VPN connection or an accidental disconnect from suddenly revealing your true IP address and location. 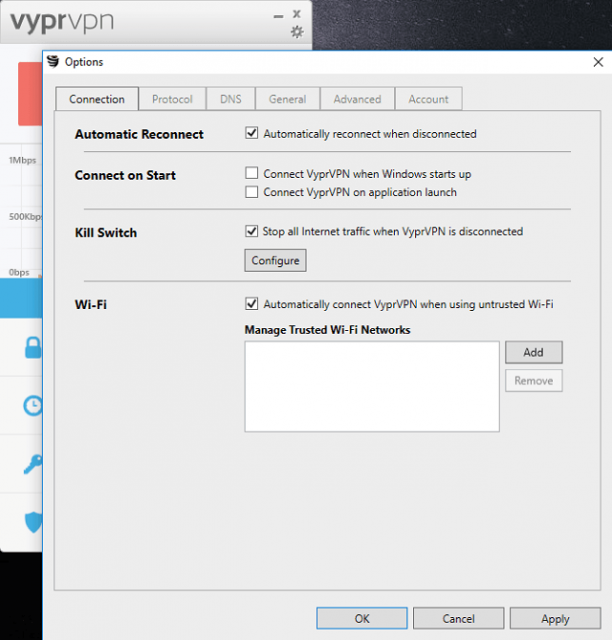 Finally, VyprVPN has a useful feature that automatically connects via a VPN when you connect to a new, untrusted WiFi network. There are few drawbacks to VyperVPN that mean we wouldn’t recommend it quite as highly as rival software. VyprVPN can take its time making the initial VPN connection, with a noticeable wait. Things are faster once you’re up and running, but this initial lag could lead to day-to-day irritation. It’s not always that intuitive to work out how to get the best out of VyprVPN. There’s not much built-in guidance on which location to use for specific purposes, for example. There’s no telephone support (not unusual for any VPN provider), though there’s live chat support, plus you can email or use help pages online. VyprVPN works out pricier if you’re connecting lots of devices at once, though it’s decent value if this isn’t so important to you. As with most VPNs, it’s not great value to pay monthly – the annual plans are a far better choice. There are two pricing plans – the first lets you connect up to three devices per month. This costs $9.95 per month if you pay monthly, or a more palatable $5 per month if you pay annually ($60). If you want to connect more devices simultaneously – up to five – then VyprVPN Premium is available. The costs rise to $12.95 per month with monthly billing or $6.67 per month with annual billing ($80 per month). This plan also gives you access to VyprVPN Cloud and the Chameleon Protocol, which you won’t get on the basic plan. Signing up to VyprVPN is as simple as choosing which of the two plans to run (Basic or Advanced), typing in an email address and password and then selecting a payment method. After that, you just download and install the relevant app for your system. This can be a bit confusing, as you have to give permission for several different modules to install, but keep clicking Yes and it doesn’t take long. Using VyprVPN isn’t quite so simple, as there aren’t any clear instructions on the app and the interface isn’t particularly intuitive. You can still connect to the nearest, fastest server at the click of a button, but using other locations involves clicking the map pin icon and picking one from the list. On the plus side, the different locations and servers are labelled and colour-coded from green to red for speed. This makes it easier to pick a speedy connection. VyprVPN is a good VPN, but not a class-leading one. It does a solid job of protecting your privacy and securing your online communications, but it’s neither the fastest nor the best value VPN. Given that others offer similar performance, the same kind of privacy and more features for a lower monthly fee, it’s sensible to look elsewhere.